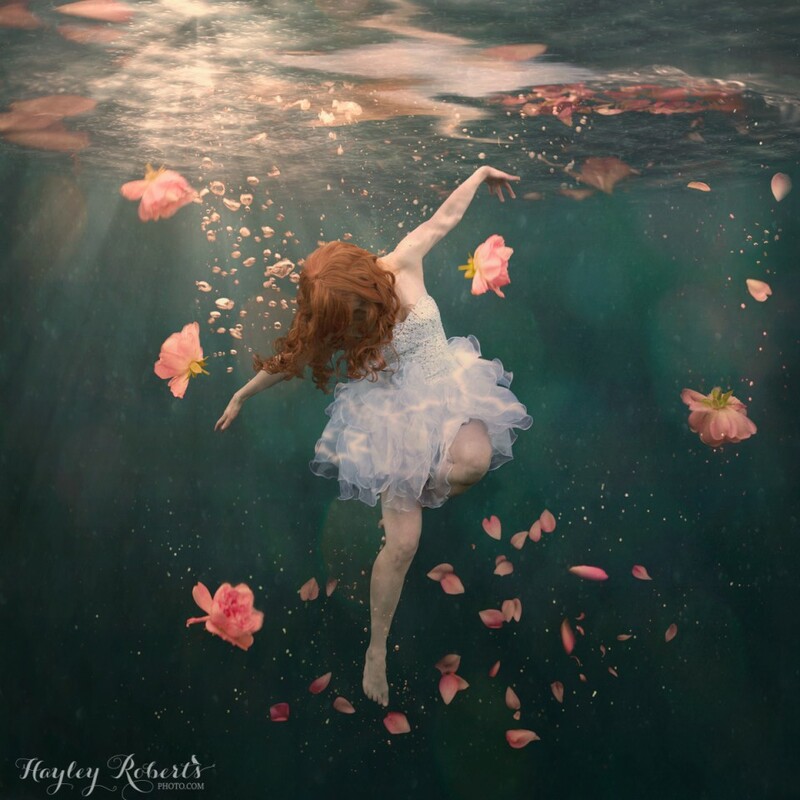 I love the feeling of stillness associated with floating underwater, that sublime moment where you feel complete freedom; buoyant and able to swirl and dance and move your body in any way you choose without restriction. I added the roses to emphasise the dreamy, otherworldly feeling that you experience when suspended in water. 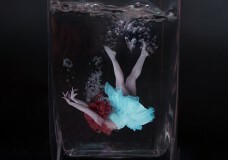 I photographed the pose for Rosewater by jumping around in my backyard and then composited the girl into a underwater scene I created from scratch with Photoshop. I photographed the roses and bubbles in a tall vase. You can read more about how to create a convincing fake underwater scene here. Truly Awesome. Absolutely love it. You are an inspiration. Thank you for sharing your technique too nice to see the hard work that goes into your images.